Here's everything you need to know about resizing a ring, including expected costs for different materials. But watch out: not all rings can be resized. So you got the wrong size ring. Or maybe you don't know her ring size at all. The good news is that it's possible to get the ring resized up or down. The bad news is that certain kinds of rings and metals can't be resized at all. How does a jeweler resize a ring? To resize a ring down, the jeweler will cut extra metal from the bottom then solder the ends back together. To resize it up, the jeweler will add a piece of metal to the bottom then solder the ends. Whether you need to get your current ring resized, or you're thinking about buying a ring, read this guide for everything you need to know. There are many reasons why you may need a ring resized. Maybe you wanted to do a surprise proposal and estimated the size wrong. Maybe the wearer has gained or lost weight (sometimes having a baby will change the finger size!). Maybe she took her grandma's ring and needs it resized. Resizing down is easier to do and less expensive. When a ring is resized down, the jeweler cuts out the extra material from the bottom and solders the ends back together. A little extra piece of material is added at the bottom. This method can resize a ring up to 2 sizes larger. You'll have to pay for the extra material and craftsmanship. The band is slightly stretched. But stretching it makes the ring thinner and weakens it. So this can only be done depending on the band. Usually it can only go half a size larger. Resizing up always costs more because of the extra material cost. It often costs twice as much, or more. So if you're not sure what her size is, it's best to get a larger ring and resize down if necessary. Or better yet, use James Allen's free sizing tool for exact measurements and avoid resizing in the future. Trace one of her rings on a piece of paper. Trace both the inside and outside. Take it to a jeweler to find the size. Take an impression of her ring in a soft bar of soap. Wrap a string around her left ring finger when she's sleeping and measure the length of the loop. 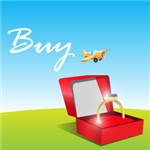 Use a free online virtual ring size finder, such as this one. 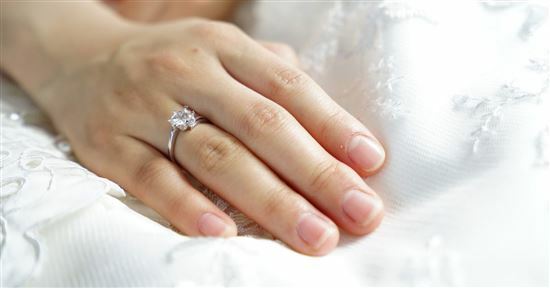 Make sure you're using a ring that she likes to wear on her left 4th (ring) finger. If she doesn't have one, the right 4th finger is fine too. Note: Women may have a slight difference in size between the right and left hand fingers, but it should still be close enough. This is hard to answer because there are a lot of factors that go into it. These include the style of the ring, amount of detailing, the thickness of the band, if you're resizing up or down, the metal, whether there are gemstones, and where you live. As you can see, a lot goes into determining the price. But we're going to do our best to give you an idea. In general, the cost depends on the price of the material and the amount of labor required. Here's what you can expect. Our estimates are for resizing up, so calculate about half of that if you need to resize down (unless noted). Platinum rings are toughest to work with. It requires more time and different set of tools and burning gas. Therefore, it's the most expensive to resize. Resizing a platinum ring up costs around $100 at the lower end of the scale, and could go up to as high as $300 for more complex rings. If you're resizing down, because of the difficulty in working with the material, expect around $60-$100 for one size down. White gold rings cost more in material but they're easier to work with than platinum. White gold rings have a layer of rhodium plating that will come off when melted. So the ring will have to be re-plated with rhodium. Rhodium plating itself costs around $30-$40. So the total resizing could be anywhere from $60-$130. Yellow gold rings are less costly to resize. The gold is soft and easy to work with. And it only needs to be soldered and polished. At the time of this writing (March 10, 2017), the price of gold was $1,207/ounce. So you can expect a resizing to cost around $40-$100. Sterling silver rings are even less expensive. Silver prices are currently just $17.20/ounce. Resizing is typically just $20-$40. Tip: The thicker your band is, the more it's going to cost because of the extra materials. Our estimates are for thin/simple bands to medium-thick bands. If your band is extra thick, it could cost a little bit more. Or if you ring has extra details like gemstones in the band, factor in more for the labor needed to possibly reset the stones. Unfortunately, there are some types of rings that can't be resized. So if you're thinking of getting any of these, make sure you know the exact size before purchasing. Eternity bands: Eternity rings have a circle of small pavé stones all around the ring. These rings are custom-made and almost impossible to resize. Doing so will damage the perfect continuity of the stones. Tension rings: Diamonds in tension settings aren't mounted in prongs; rather, they're held in place by a perfect pressure. Tension rings need to be custom-made also. 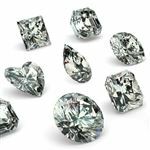 If resized, the structural strength that holds the diamond in place is compromised. Stainless steel, tungsten, or titanium rings: These materials cannot be resized because they're too hard to work with. A lot of men's wedding band are made of these metals, so when you order one, make sure you know your size. Be aware of the following types of rings. They are harder to resize and require more skill. So make sure you go to a skilled jeweler. Pave or channel set rings: Some of these rings have the little stones going almost all the way around the band. If there is a little bit of plain metal at the bottom, it can be resized, but to a limited degree. It's easier to go up a size in these cases. But go to a very skilled jeweler because the stones can become misaligned. Delicate gemstones: If your ring is mounted with a gemstone or has small gemstones in the band, they may need to be taken off during resizing and reset. Gemstones are more sensitive to heat than diamonds. The cost to reset gemstones could be as much as $200. Rose gold rings: Rose gold comes in many different tones (some more red, and some more gold). So a jeweler may not be able to match the exact tone of your ring. It's best to go back to the same retailer for resizing. Rose gold is also more delicate, so it can crack more easily during resizing. Note: If your ring has an engraving, you're going to lose that when you resize. It'll cost more to have the ring re-engraved. If you're planning a surprise proposal and don't know her ring size, it's better to estimate up to be on the safe side. Getting a ring taken down in size is easier and cheaper. Just don't pick any styles that cannot be resized! Before you make a purchase, always check with the jeweler on the resizing policy. Do you get one free ring resize? For how long is that offer valid? Almost all jewelers will offer resizing services. Consult with a few different ones to compare prices. But most importantly, go to a reputable jeweler you trust. Be aware if one quotes you too low. It's always smart to know about resizing potential before you purchase a ring. Resizing isn't cheap, but it's important that the ring is a perfect fit (literally). You don't want it cutting off circulation, or end up flinging it into the street when you hail a cab. Just do your research and find a trusted jeweler. Share on Facebook "Ring Resizing: What You Need to Know"